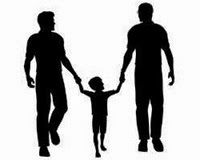 Gay Dads Australia: [Australia] Rainbow Families Queensland - Relaunched!!! [Australia] Rainbow Families Queensland - Relaunched!!! Rainbow Families QLD is being re-launched and it's going to be FABULOUS! As some of you may be aware, RF QLD has been in hiatus the last couple of years. Rainbow families in our state need formal representation regarding legislation lobbying, resource development, and with the media. Also on the agenda are coordinated monthly get-togethers, special events like end of year parties and fertility information sessions, and a weekly playgroup. But first, let's PAAAARTY! On a Sunday, in the morning, so that everyone can get home for nap time, of course. July 22, 10-1, Mowbray Park Bowls Club.We're hoping to get as many families as possible along to this first event, PARTICULARLY DADS! so that we can talk about the direction forward, enjoy some time together in the sun, and put faces to facebook names. We’ll have a circus play space, a craft station, a music space, drag story time, and face painting all on offer, so dig out your rainbow paraphernalia, pack a picnic, and start spreading the word. If anyone wants to donate anything to make this event even more special please let us know. Eg: children's performers, drag kings and queens, bubble machines, magicians, things to sell for fundraising... surprise us with a clever idea. And we're also very open to sponsorship offers! And if you’re interested in being involved with RF QLD please send us a message. By August we hope to have a full management committee up and running, as well as people working on various sub committees (eg: playgroup, fertility info sessions, resources, website, lobbying, advocacy and activism). We need you to make this happen.